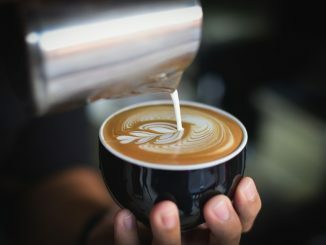 While most coffee drinkers would agree that making a good latte is an art in itself, there are other ways you can unleash your creativity using your coffee machine. 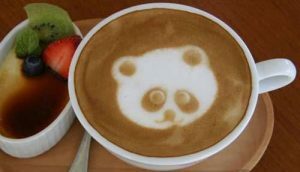 Latte art is the term that applies to the patterns made in the milk foam that tops your favorite cup of Joe. Baristas in coffee shops spend a long time training how to make a flawless espresso, and the patterns that top your drink are the cherry on top. 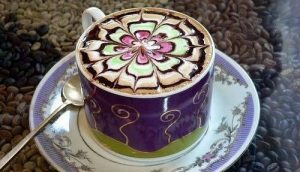 We’re all familiar with the pretty leaf and floral designs you commonly find, many of which were popularised by the renowned barista Davine Schoner back in the 1980s. 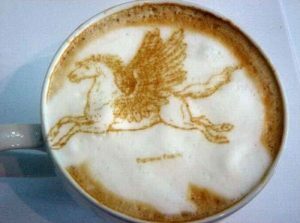 But latte art takes the whole thing a lot further. Imagine an impossibly detailed self-portrait or landscape painting, hard enough to achieve on a normal canvas. Now try doing the same work of art on a canvas made of frothed milk. That’s exactly what latte artists set out to achieve. Using the basic materials of espresso crema (the light brown froth that tops an espresso), hot milk, chocolate sprinkles and a sharpened point such as a pin, these talented artists elevate coffee pouring to a new level. It makes the whole endeavor even more impressive considering the short amount of time their creations actually last. 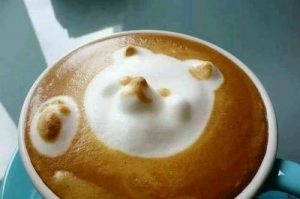 As soon as the milk hits the coffee, the foam will begin to break up. The ephemeral nature of the artistry is one of its most touching characteristics. 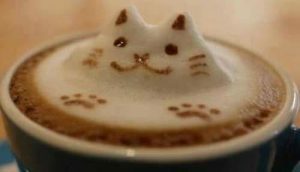 Generally speaking, latte art is created by using two basic techniques. Free pouring produces patterns as you pour and is usually used for rosettes, hearts, and leaves. It takes a seriously steady hand and some expert movements of the jug to get good results. More complex designs can require two pours, maybe even more. The second technique is etching. 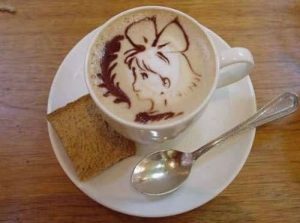 Etched designs tend to be more intricate, and are often done with a coffee stirrer or a pin. Etched designs have an even shorter life span than free poured designs. 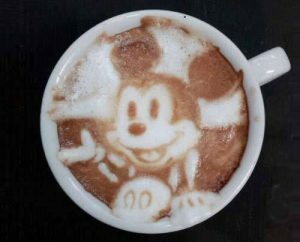 Here’s a look at ten incredible examples of latte art for your inspiration. Most of these have been etched, and require a high level of skill to create. We hope you enjoy them! 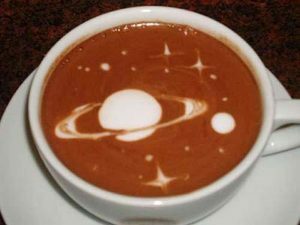 An out of this world adornment for a seriously strong coffee. This artwork has mainly used espresso crema, with frothed milk applied sparsely to produce the planet. And who says that frothed milk can only be used as a 2D canvas? To produce a 3D effect like this one it’s a good idea to chill your milk jug in the fridge before you begin. 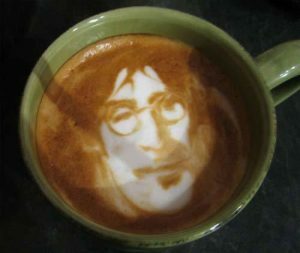 You’ve heard about people seeing Jesus in pieces of toast, how about the Beatle who was even bigger than Jesus in a cup of coffee? This example of John Lennon shows an amazingly high level of detail, particularly around the eyes. A cute manga-inspired design produced by simple etching techniques. The artist will probably have used two different width stirrers; one for the girl’s outline and a second, thicker implement to produce the banner decorations. Check out the detail on the Pegasus’s wings! It’s incredible to think that the artist is working at speed with such a limited selection of tools and colors. The tone and muscle definition around the forelegs is equally impressive. Here’s another emblem of the stars and stripes rendered in carefully crafted coffee tones. Low on detail but big on personality; a panda design is a simple but characterful subject for this design. Latte art doesn’t always mean a shades-of-brown color scheme. Through clever etching techniques, restrained use of food dyes and a delicate spider’s web design, this designer has injected color vibrancy into a traditionally two-tone art form. We’re loving this cute cat. The way it seems to peer over the edge of the cup really takes 3D latte art up a notch.